Fortunately, there’s a way to improve online reputation. There are a lot of misconceptions about online reputation management. Some may think it’s just social media monitoring, while others think it has something to do with public relations, and some others literally have no idea how it can impact business and sales. In reality it is the practice of attempting to shape public perception of a person or organization by influencing online information about that entity. Online complaints happen to nearly every business and consumers are influenced by reviews they read online. Bad press, negative reviews are always bad for business. Fortunately, there’s a way to improve online reputation. Whether you need to rebuild a brand, manage online reviews or simply control what people see for your name or your company, we will provide you with the right Solution. 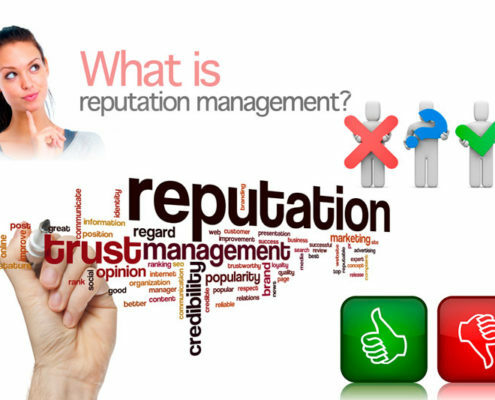 Our reputation management services use ethical strategies, to help you promote a positive image.